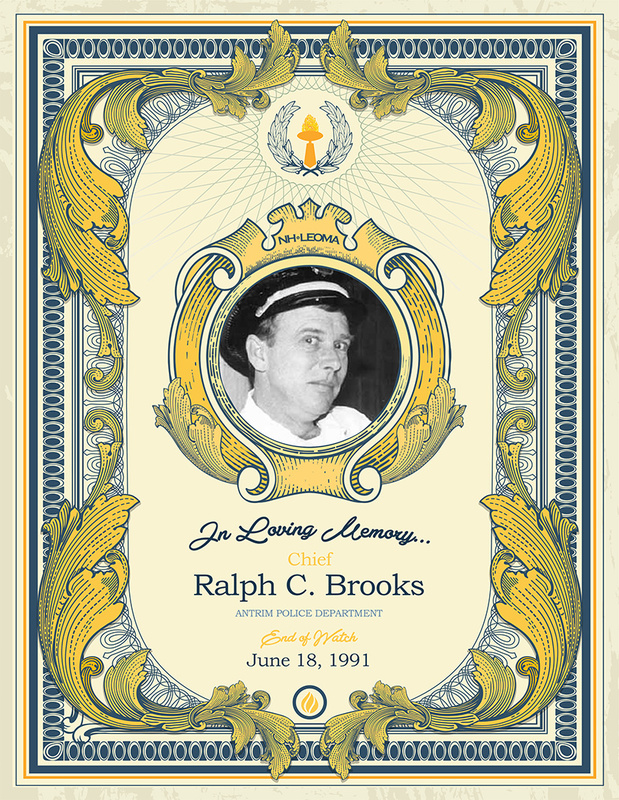 Ralph “Buster” Brooks became a police officer for the Town of Littleton in 1980. Within 5 years he was promoted to Corporal and shift supervisor. In 1989, he was promoted to Sergeant, which placed him second in command. He accomplished many achievements while serving the Town of Littleton. He developed a Juvenile Diversion Program, created the Adopt a Teddy Bear Program for youth in need, and secured grants to start the local D.A.R.E. Program. Buster became an instructor in Special Officer Training for the New Hampshire Police Standards and Training Council as well as having attended more than 50 law enforcement schools and seminars. He was an active member of the municipal Scuba Dive Team and a volunteer on the Littleton Fire Department. On December 16, 1990, he was sworn in as the Chief of the Antrim Police Department. On June 18, 1991, while chasing a juvenile suspect, he suffered a fatal heart attack. Ralph left behind his wife Sally, his daughter Jennifer, his son Ralph (Jeff), and his mother Ester.